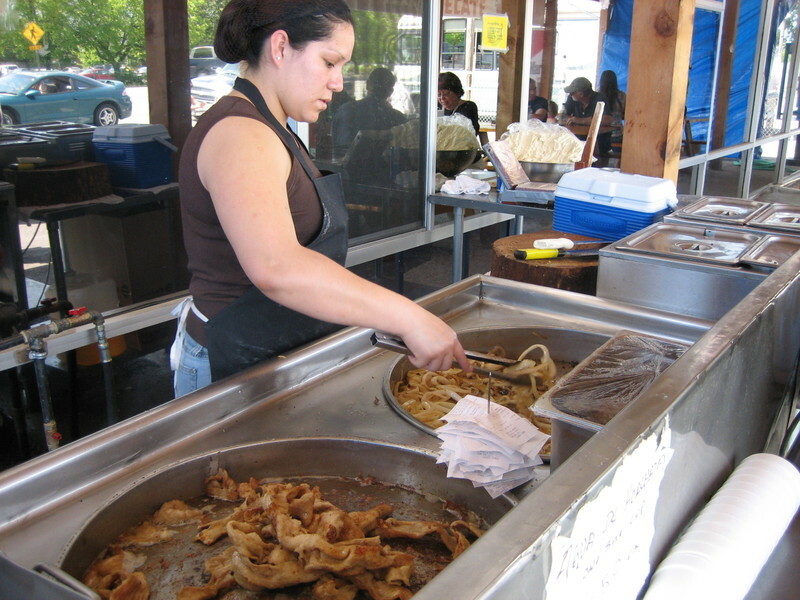 It's likely to be good if a taqueria or market makes their tortillas on a hot griddle by hand. Thick corn beauties, warm and toasty. I was told by reliable sources--Robert Mailer Anderson and Zack Anderson--that the Chavez Market Taqueria has "the best" tacos and Mexican food in Ukiah, so I decided to grab a to go lunch there today. Since they have a full menu and I was more in the mood for a torta, I admired the tortilla making and decided another visit must, and will happen, soon. How was the torta? The al pastor meat was well spiced, and the sour cream, avocado, pickled jalapenos, lettuce, and tomato were gooey, messy, and delish. I'd like to try tinga, which is advertised as spicy shredded chicken. There's also menudo for adventurous eaters who may or may not be hungover. The market sells bottled hot sauces, and I decided to go for salsa habanera, "from the hottest chiles in the world," made by Castillo. My torta was hot enough, and I was starting to sweat a little, so I will crack open the sauce another time.